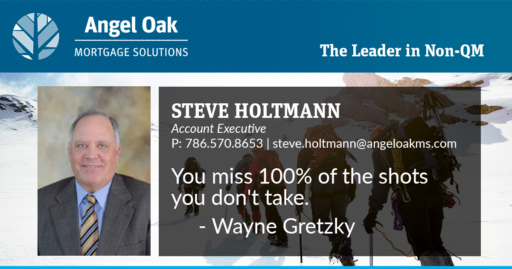 Steve Holtmann is your account executive you have come to trust as an expert and reliable consultant supporting brokers and correspondents. We would like you to get to know him even better! Prior to his successful career in the mortgage industry, Steve was a teacher for 10 years. During that time, he earned his MBA and left teaching. He is a lifelong tennis player and has played since he could walk. He also enjoys the ocean and spends time fishing, windsurfing and boating. The Florida Everglades is a favorite spot where he has been airboating for many years. His favorite football team is the University of Iowa (Go Hawkeyes! ).